JS Jobs fully accommodates job seekers and employers. JS Jobs is practically essential after all: same design for desktop, smartphones and tablets. No need to register to apply on any job. JS Jobs offers, visitor can apply on any job with his complete details. Visitor can click on apply now button and fill out resume form using which he can apply on job. JS Jobs has been built on the basis of latest trend, so your users will feel familiar with the way it works. JS Jobs is very user friendly and simple. It does not require any technical skills for user to work with it. All the basic functionalities that job seekers and employers need JS Jobs provide free of cost. Employer have lot of feature including companies, jobs and departments, resume search, applied resume etc. Employer can also print, export or PDF of applied resume. Job seekers can add resumes and cover letters as many as they want. Job seekers can search jobs and refine search results using refine search popup. There is no limit on job apply for job seeker. Job seeker can also apply job as a visitor. 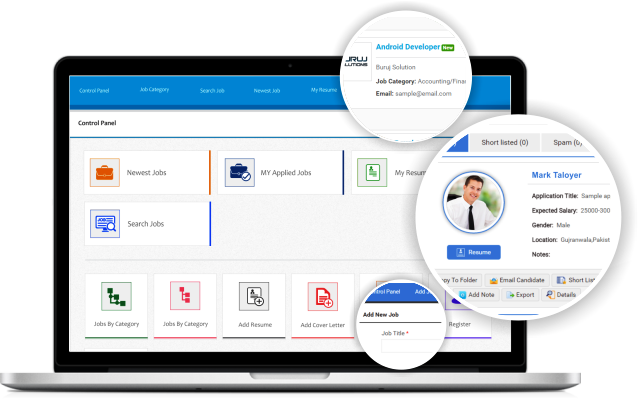 JS Jobs also provides registration and login pages, users can register or login into system from front-end. For every action in JS Jobs by admin, user or visitor activity log is maintained. 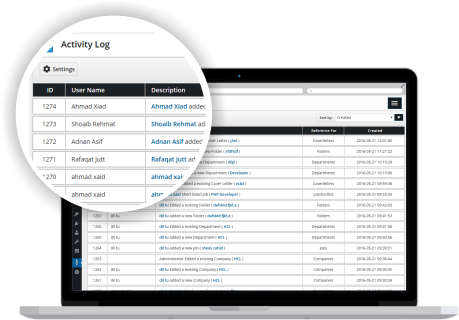 Whenever any user or admin performs any action, the activity log is updated with the user name and a basic description of that action. Admin can keep a track of every change in the system. JS Jobs with Unlimited User Fields, User fields are now more efficient and reliable. Admin can make user fields visible on search forms, refine search popup and main listings.